Ingmar: The next project, Cosmic Osmo, was released in 1989. What comes to your mind when you look back on it? Rand: Probably a good way of looking at it is, at least from a production point of view, if Manhole is Myst, then Cosmic Osmo is Riven. (laughs) I think we had learned enough with The Manhole, and had enough of a budget and motivation, that we thought, “oh, we can do this much better! We can do something that’s much more cohesive, has little bits of story in it, and has much more interesting interactive elements, because we’ve learned how to do that more, and we could weave them together in a better, more deliberate way.” Cosmic Osmo for that reason holds a special place in our hearts, because it was a labor of love. It was taking everything that we had learned, and experimented with, and making something special for us. Especially the extended version, Cosmic Osmo and the Worlds beyond the Mackrel, just felt big, and magical, and it felt like you could just go on forever, and it wrapped around on itself in really intriguing ways, and it would surprise you sometimes with the interactivity. I remember some of the interesting stuff was you had your hand cursor on the screen you would click with, and in several locations we decided we could play with that, and we would actually animate your hand as if you had moved it to the spot. I remember, maybe when it was hot, your cursor hand would just go off on its own without you moving because we heated it up. I love those. I think those were some of my favorites, where it was kind of unexpected. A lot of fun activities and things to put together in Cosmic Osmo. It stands out, I think, as one of our favorites! Ingmar At the time you were working on ideas for an older audience called The Gray Summons. You pitched it to Activision in 1990, and I’ve heard Robyn stating they told you to “keep doing games for children!”, which must have been a great motivation. (both laugh) What did your ideas for The Gray Summons look like, and how much of Myst was in there already? We didn’t get very far along that path, but I think it set us on a mindset, and we knew that we would eventually get back to that. Gray Summons was gonna be hand-drawn because at the time we presented it, there weren’t really the tools to do pre-rendered graphics on home computers, so Robyn was gonna draw all of them individually. It would have been interesting, but it’s probably good that it didn’t take off, and it served us well to wait a little longer, and to get better at what we were doing. Ingmar: Fortunately, not too long went by until someone asked you to go in that direction. In 1991, you were contacted by the Japanese company Sunsoft, and were asked if you wanted to make a game for an older audience for them. How did that whole thing come about? Rand: Oh boy, I tell you what: Software industry is difficult, and making games is very difficult. Even as Robyn and I were having some success, kind of bootstrapping this little company of ours, we were working with Activision, and they declared bankruptcy, so for Cosmic Osmo they just didn’t send royalty checks because, you know, they were going through some legal process. With all that was going on, we always knew that moving forward there were two things we wanted to do. One was something slightly more educational, and the other was something for an older audience. 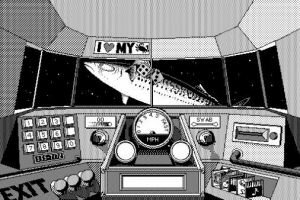 When Gray Summons didn’t work out, we changed publishers, and did Spelunx with Brøderbund. It was a smaller project, but it was also a good way to stretch our abilities a little more. It had some interesting aspects to it, some customizable areas that you could explore down in caves. But anyway, all that is just to say that we were evolving further and further, and then at some point we were contacted by Sunsoft, which was a Japanese company that had seen The Manhole, and I think Cosmic Osmo as well. They had been trying to get in touch with us for years, but our publisher – I think it was Activision at the time – refused to give them our information. (laughs) Anyway, they managed to look it up on their own, and to find us, and we started a very long, and very wonderful relationship with them. It was kind of interesting because Robyn and I were ready to do something for an older audience, but we also knew it was going to be more expensive, and weren’t sure exactly what it was. Multimedia was the buzz word of the day, and CD-ROMs were just on the edge of starting to roll out, and people were starting to put content on CD-ROMs. It was interesting for us to look at this new technology, and it felt the same when we looked at other new technologies… we looked at hard disks for The Manhole and even color for Spelunx; we were always trying to make our worlds more interesting. 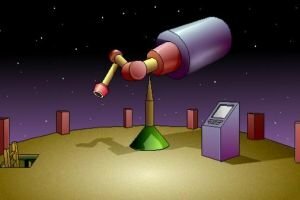 With the CD-ROM, it meant that our worlds could be larger. I specifically remember Sunsoft saying, “we want you to make something for an older audience. This is gonna be good, right? As good as The 7th Guest, right?” Everybody knew about The 7th Guest; that was the hot title coming out. Robyn and I looked at it, and we said, “whoa, it’ll be different, but sure! It’ll be what we do, though. It won’t be like what they’re doing; we’ll just expand on what we do!” So, we wrote them this proposal – fairly unprofessional and very short. (laughs) It had lots of maps in it, and there wasn’t a lot of description. We gave them the budget, and, you know, they hedged a little with the budget, and we said, “well, we’re just gonna take that much!” Well, it ended up taking twice as much, but long story short: we started designing and building it. I remember one day having a conversation about, you know, “this is a game for an older audience – should we stray from what we do, and make it so that you die, and have to start over?” We decided not to, and we realized that if you didn’t start over, we had to add other kinds of friction, and the world would have to be very large, because – without starting over – you had to give people plenty of gameplay for their money to make them satisfied. So, all those things kind of congealed into what became Myst. It was a grand undertaking for us with, it was very heady times, and we always designed it thinking that it would appeal to a broad audience, younger teenagers all the way up to an older audience. But we were shocked by the sales, and that it reached such a broad audience. We were dreaming about sales of 100,000 units – that would have been a big hit in the day. We would have been very satisfied to get that number, and then we started getting millions, which is hard to fathom. Ingmar: One thing I’ll always remember is how Myst starts: that short intro sequence which puts you into the game world directly, enhancing this feeling of, “what the heck is going on here? Where am I? What am I doing here?” Was there much discussion about how the game would start? Rand: There was some discussion, and I think from our point of view, we never wanted to give very much information. We wanted it to feel like… like basically you had just found this book. Early on in our discussion, I think, we were going to define it as you found it in an old book store in Europe. There was more detail, and then we just got away from that. That wasn’t the important part, the important part was you – not a character but you – found this book, touched it, and then this portal took you to this other place. We made the whole game without the intro sequence, and then we discussed what the intro would be. 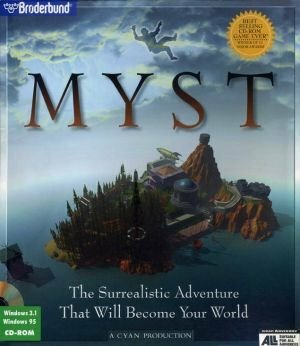 We had started coming up with some storylines of what came before Myst as we were designing the game, but it was very little detail. But we knew, by the time that we were getting towards the end, that the art of writing would be a part of this; this father being trapped, and he had this book that somehow ended up in the player’s hands. So we wrote this vague statement that was not meant to inform. We always thought that cinematics were very artificial motivators, that people didn’t really get motivated by a big long cinematic opening or a cutscene opening. 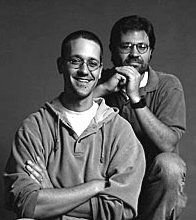 They just wanted to get into the game, and so we kept it very vague and short, knowing that it would give us the possibility of getting to where the book came from later. But that wasn’t the important part of the story; the important part was getting onto the dock, and getting into the story. Brilliant interview. Good work Ingmar!